Megan Rapinoe will respect the U.S. Soccer Federation’s new policy requiring players to “stand respectfully” for the national anthem, she said Monday. It appears U.S. Soccer passed the new policy in response specifically to Rapinoe’s repeated protests during the national anthem last year. She said her decision to kneel during the national anthem was done in solidarity with NFL quarterback Colin Kaepernick, who was kneeling to protest racial injustice, and she said the protest was not directed at the U.S. military. But it still touched off controversy from those who thought it was inappropriate to do in a U.S. national team uniform. U.S. Soccer has not outlined any specific punishment for players who do not adhere to the new rule. Federation president Sunil Gulati said it would be dealt with on a case-by-case basis, according to FOX Sports analyst Stuart Holden, who broke the news of the new policy. Rapinoe started kneeling during the anthem last year with her club, the Seattle Reign, but when she was called up for U.S. national team duty, she continued her protests there. 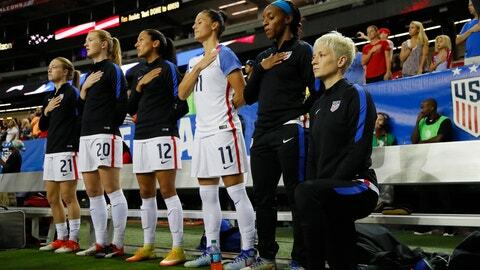 At the time, U.S. Soccer said it was an expectation that players stand during the anthem, but stopped short of requiring it and Rapinoe was not punished. 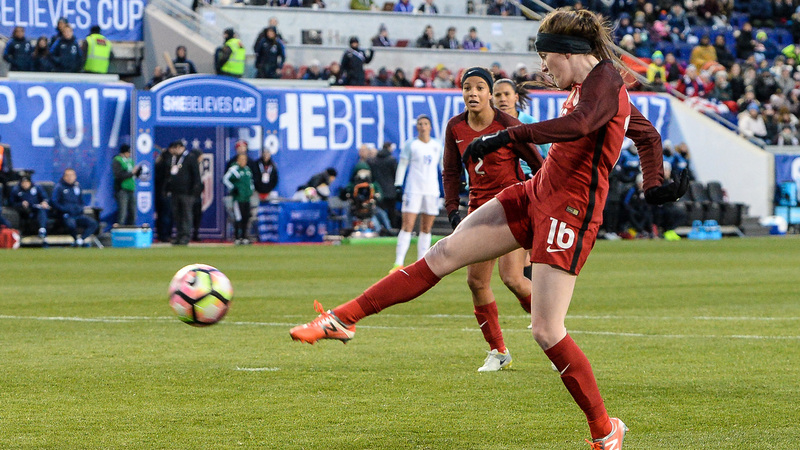 Rapinoe is not currently with the U.S. women’s national team, which is competing in the SheBelieves Cup, which finishes on Tuesday with a match vs. France.